Recognizing that Lent is a season devoted to spiritual renewal, it had been our custom to offer an annual Lenten Mission, usually with a particular speaker offering conferences in a three-day block of time: Monday, Tuesday, and Wednesday mornings and evenings during one particular week. This year we have decided to try a different approach, one that we used last year and which met with considerable success. Tuesday, March 19: Msgr. Peter Pflomm, former Vicar for Clergy Personnel in the Diocese: “Joseph – The Quiet Man Whose Life Speaks Loudly.” A reflection on the life and the message of our parish patron. Tuesday, March 26: Fr. Lee Descoteaux, former resident at St. Joseph, currently Adjutant Judicial Vicar and Vice Chancellor; “Not My Will but Your Will Be Done: A Reflection on Gethsemane.” Jesus’ unconditional acceptance of his Father’s will on the night before he died. Tuesday, April 2: Fr. Malcolm Burns, pastor of Corpus Christi Parish, Mineola: “Jesus Healing in the Sacrament of the Anointing.” Lent is a time for healing – in body and soul. The Sacrament of the Anointing of the Sick will be offered after each conference. Tuesday, April 9: Fr. Jason Grisafi, administrator of St. Joseph Parish, Babylon: “Unconquerable Fortitude and the Cross of Christ.” The strength we each can find in the Cross we venerate on Good Friday. 12:10 PM Mass Monday through Friday during Lent. Stations of the Cross will be prayed communally on Fridays during Lent: Friday mornings at 9:30 AM (after the 9 AM Mass) and again at 7:30 PM. Benediction of the Blessed Sacrament will follow the evening Stations of the Cross. Eucharistic Adoration every Friday during Lent from 1:00 -3:00 PM in the logietta. This Lent, our Parish Project will promote the work of RotaCare, a program located in donated space at A. Holly Patterson Extended Care Facility in Uniondale, NY. RotaCare provides primary medical care to indigent Long Islanders and the working poor who are ineligible for or unable to afford health insurance. RotaCare began in 1992 through the efforts of the Mineola-Garden City Rotary Club members who teamed with the Interfaith Nutrition Network, local hospitals and other community minded people. It is operated by an all-volunteer staff of doctors, nurse practitioners, nurses, administrative personnel and translators who are committed to providing quality health care to those in need. 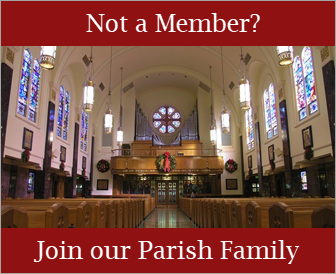 Every year, over 100 volunteers, many from our parish, handle over 1,200 patient visits. Without RotaCare, these individuals would not receive preventive care but would only be seen in crisis at a hospital emergency room. Contributions from individuals and other non-governmental sources provide the means to obtain lifesaving medications to treat hypertension, cardiovascular issues and diabetes – diseases that are so prevalent among those in need. RotaCare provides its patients with quality care management and educational information to gain control over their chronic conditions and live healthier lives. St. Joseph’s is pleased to present RotaCare as this year’s Lenten Project. We appreciate your anticipated generous response. Please visit www.rotacareny.org to learn more! 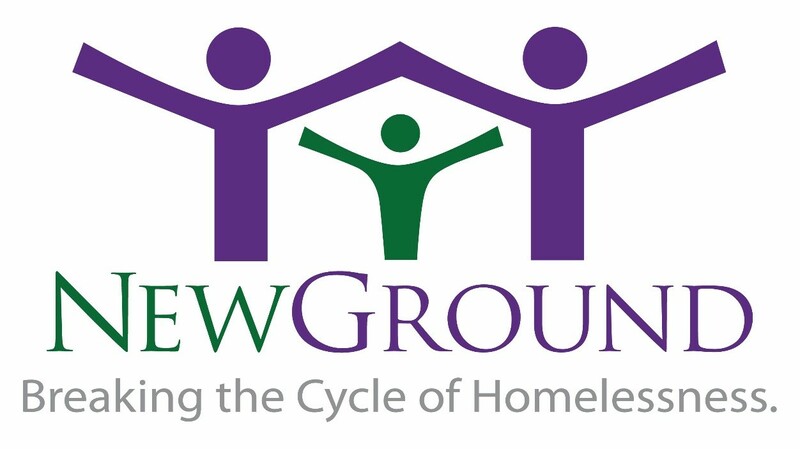 Join us to share a simple Lenten meal and learn about NEW GROUND, a program that provides a comprehensive array of services to assist homeless families and veterans acquire the skills necessary to obtain and maintain permanent housing. Founded in 1991 by Sr. Mairead Barrett, OSU, NEW GROUND provides the professional support of social workers & educators: employment & career counseling, financial literacy, life skills development (parenting & household maintenance), tutoring and more. The combination of services for both parents and children transforms families for generations to come. Please RSVP before Wednesday, April 3 to asirianni@stjosephsgc.com or (516) 747-7120.